Diesel Tech Industries Ltd. (DTI) is a Canadian-owned company that produces revolutionary shut-off valves for diesel engines. After we noticed the limitations of existing shut-off systems, we developed a system that will safely shut off engines before they cause damage. We’ve offered our DTI Guardian Shutdown System since 2005. We don’t just sell these valves to truck owners across the country, but we also develop and manufacture them at our facility. 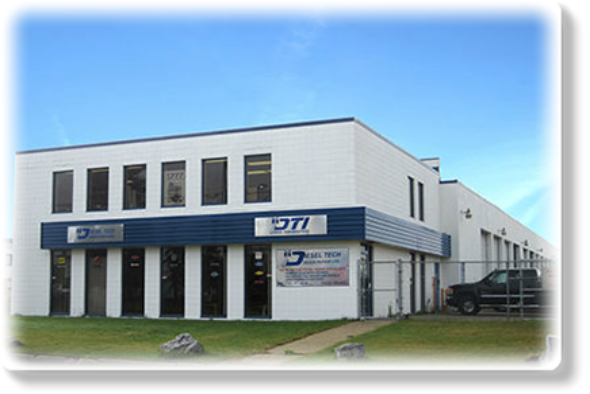 We are a division of Diesel Tech Truck Repair Ltd., which has operated in Edmonton since 1999. We are owned and operated by a certified diesel engine specialist, Darren Rivet, who has worked in the field for more than 30 years. CDM Board was introduced which adds a modular capability to our system allowing other product lines to be seamlessly integrated.